Teerenpeli’s basement comes to live once again and this time we are celebrating the best time of the year: Halloween! Since the theme is Horror & Tease you can be sure to see some ghoulish acts by very talented performers. So come and spend an evening of fun with a bunch of friends, you are always welcome at Teerenpeli! Host of the evening is the haunting Lafayette Lestrange! There is a best dressed competition at the event also, so bring in your a-game and wear your most terrifying outfits! There will be a Dr. Sketchy event also on the thursday before the show that will have a haunting theme in it too so join us if you are interested! Also a workshop will be provided on the day of the show for people interested in learning some burlesque tricks. 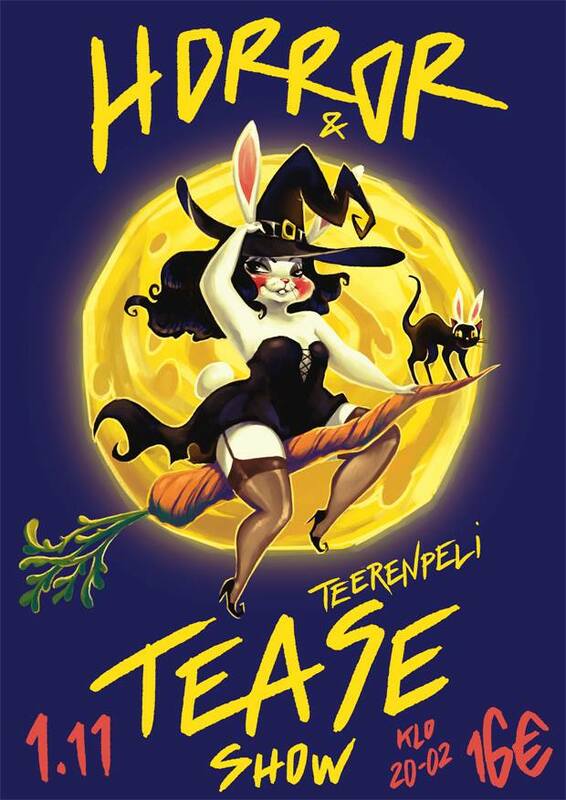 The last Teerenpeli Tease of the autumn will be celebrated on 13th of December!